An elegant solution to hosting premium WordPress content. 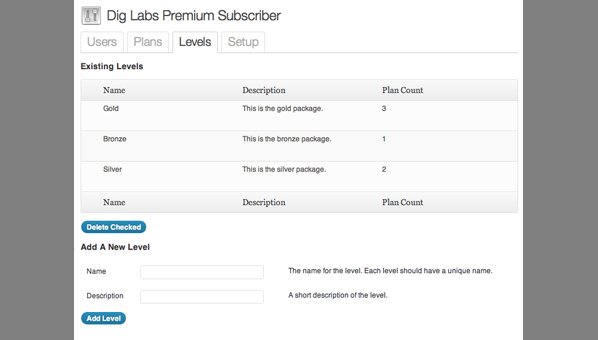 Quickly add the ability to limit access to premium content to subscribers or site members. This plugin provides enables you to provide an elegant user experience to your site visitors. 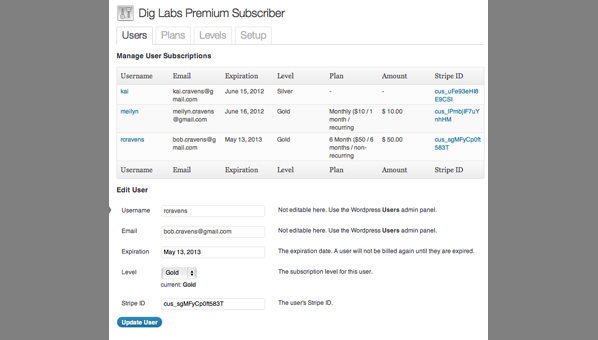 Getting started is super easy and subscription management is simple. Elegant design and user experience. Convenient WordPress widgets and shortcodes. Easy to configure and get started. 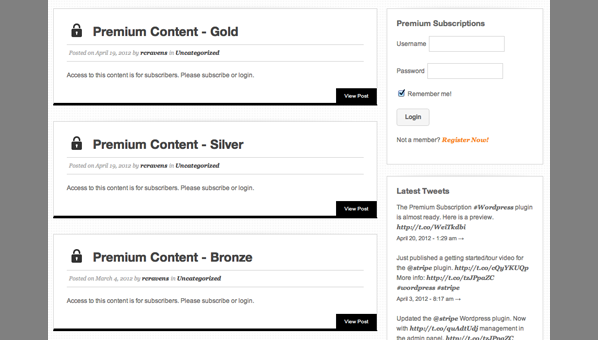 Security – Your premium content is only accessible by subscribers. Flexible – Support the creation of unlimited subscription levels. WordPress pages and posts can belong to many subscriptions. Protect file-based resources by protecting routes. Customization – You are in full control of the HTML that is substituted for premium content. Convenience – The plugin has a number of WordPress shortcodes and widgets that quickly get you on your feet. 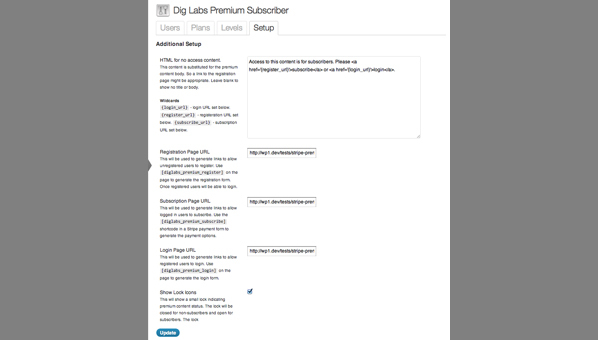 Use the plugin’s WordPress admin page to configure the plugin. Secure content by adding it to one of your subscription levels. This video gives a good idea of the user experience and a quick look behind the scenes at the setup/configuration. This plugin is an add-on and requires the Stripe Payments Wordpress Plugin. 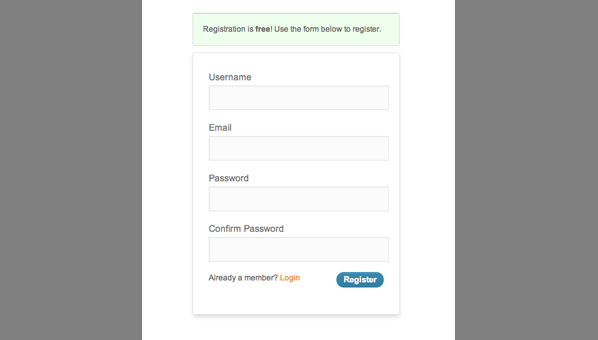 Elegant design and quality user experience.